Krishnaji Howlaji Ara was born in 1914 in Bolarum near Secunderabad. Ara migrated to Bombay when he was barely seven years and started his life as a domestic help. He followed the example of his father and began to ‘specialize’ in motor cleaning. In 1927 his father passed away. He participated in the Salt Satyagraha for which he was imprisoned for five months. After release, he took up employment as a motor cleaner in a Japanese Bank for Rs. 18/-. In 1930 he took to painting which was his true passion. Rudy Von Leyden (Art Critic of Times of India) and Walter Langhammer (the art director of Times of India publication) were highly impressed by Ara’s talent and passion. He was enrolled to study art at Sir J. J. School of Art by Langhammer. Charles Gerrard (the then principal of Sir J.J. School of Art), his generosity and active encouragement were responsible for the change in career as a painter for Ara. In 1947 the Progressive Artists’ Group (PAG) was founded and Ara was one of the founding members. He had been a member of the managing committees of the Bombay Art Society and Art Society of India, Mumbai. In 1961 he received traveling fellowship from Lalit Kala Akademi, New Delhi to visit Bulgaria. In 1942 Ara had his first one man show at Bombay Art Society salon on Rampart Row, which later became Artists’ Aid Centre, Mumbai and now it is called Artists’ Centre. In 1944 he showcased solo at Chetan Art Centre. In 1947 Ram Chatterji opened his solo exhibition in Mumbai. In 1948 he showcased solo at the Bombay Art Society Salon opened by Prof. W. Langhammer. In 1948 he had two solo shows held in Surat & Rander, Gujarat. In 1950 Nina Von Leyden opened his solo show. In 1954 he had a solo exhibition at Jehangir Art Gallery, Mumbai opened by Rudy Von Leyden. In 1961 his solo show was held at Hyderabad, which was opened by M. P. Pai. He participated in several group shows in Mumbai, New Delhi, Kolkata and Baroda. In 1948 he participated in the Inaugural Exhibition of Progressive Artists’ Group at Bombay Art Society, Mumbai. In 1950 he participated in a joint exhibition, Calcutta Group: Progressive Artists Group in Kolkata. In 1963 he participated in Paintings Exhibition in aid of the National Defense Fund in New Delhi. In 1939 and 1941 he received Bombay Art Society Award, Mumbai. In 1938, 1939 and 1942 he received the Shimla Art Society Award, Shimla. In 1944 he received the Governor’s Prize from Bombay Art Society’s Annual Exhibition in Mumbai. In 1950 he was awarded Gold Medal by Bombay Art Society, Mumbai. In 1961 he was invited by the French Government as a guest sponsored by Lalit Kala Akademi, New Delhi. In 1961 he received an Invitation of the Bulgarian Artists Association, Bulgaria. In 1984 he was honoured with fellowship from Lalit Kala Akademi, New Delhi. Ara passed away in 1985 in Mumbai. In 1988 he was exhibited in A Tribute to Krishnaji Howlaji Ara at Prithvi Theatre Gallery, Mumbai. In 1997, 2001, 2003, 2004, 2007, 2010, 2011 and 2013 he was exhibited in New Delhi. In 2009 Ara was exhibited in Bharat Ratna! Jewels of Modern Indian Art at Museum of Fine Arts, Boston. In 2010 he was showcased in The Progressives & Associates at Grosvenor Gallery, London. In 2011 he was exhibited in Time Unfolded at Kiran Nadar Museum of Art, New Delhi. 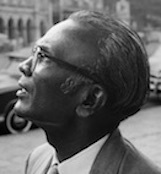 In 2011 he was showcased in Ethos V: Indian Art Through the Lens of History (1900-1980) in Singapore.